Congratulations to Caitlyn Jenner for having the courage to come out as the woman she always knew she was. But leaving behind someone as universally known, loved and admired as “Bruce” Jenner, the Olympic gold medal-winning athlete, is no small feat. What she has done by openly transitioning into Caitlyn in stages – first on a network television interview, now in Vanity Fair magazine and in an upcoming docuseries – opens the door for conversations on transgender recognition on a scale not seen before. For all those who identify as transgender, to finally have a role model must seem like a beacon of light. For an athlete of Jenner’s caliber to be open about her transition will hopefully allow the general public to understand that an elite male athlete isn’t automatically a straight man nor an elite female athlete isn’t automatically a lesbian. Not long after we were all introduced to Caitlyn Jenner yesterday via her Vanity Fair photo shoot, it was announced that she will be receiving the Arthur Ashe Courage Award at the 2015 ESPY Awards. The 2015 ESPY awards will be broadcast on July 15 on ABC, making it her next public appearance. How appropriate! Responding to the announcement about the award, Jenner tweeted “I’m so happy after such a long struggle to be living my true self. Welcome to the world Caitlyn. Can’t wait for you to get to know her/me.” Jenner will join legendary women’s basketball coach Pat Summitt, Robin Roberts of ABC’s Good Morning America, and Michael Sam, professional football player with the Montreal Alouettes as past winners of this prestigious award. You will probably never know how many lives you’ve saved and turned around through your courageous coming out, Caitlyn – just know that you are making a profound impact on many lives. We’re continuing to honor your request to keep our hearts and minds open, but with your permission, we’re now using feminine pronouns to describe you. 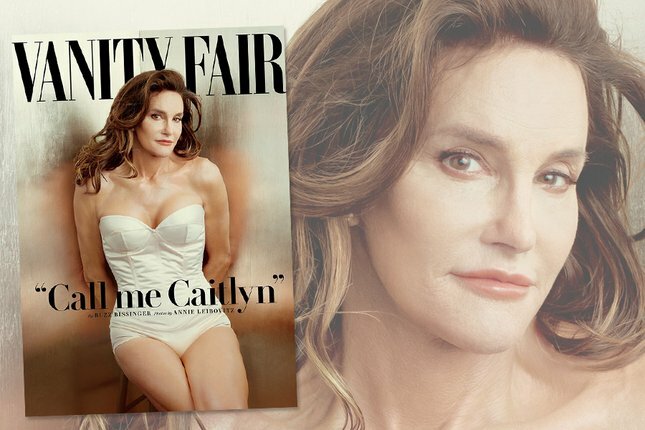 Jenner’s cover and interview is part of the July issue of Vanity Fair which goes on sale June 9. She’ll continue to share her story in an eight-part docuseries that will air in July on E!.